We're talking bloody in a good way. “This salad is bloody fantastic!” These are the words of my limey friend who sampled this salad I threw together. 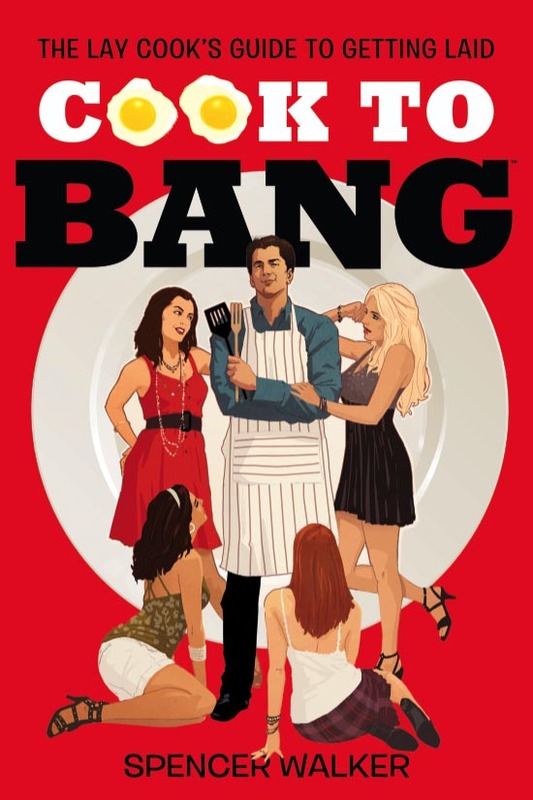 And no, I did not cook to bang my mate. He’s been striking out with the birds as of late so I gave him a quick cooking tutorial. I believe the geezer has his sea legs now since he’s used my recipes to bed a few strumpets already. The problem is he keeps making the same few recipes I’ve taught him. Sounds like we’re just about ready for another lesson. Perhaps he can repay me by teaching me the finer points of football (as in soccer for the uninitiated). With World Cup coming up, I need good talking points to pick up Brazilians. 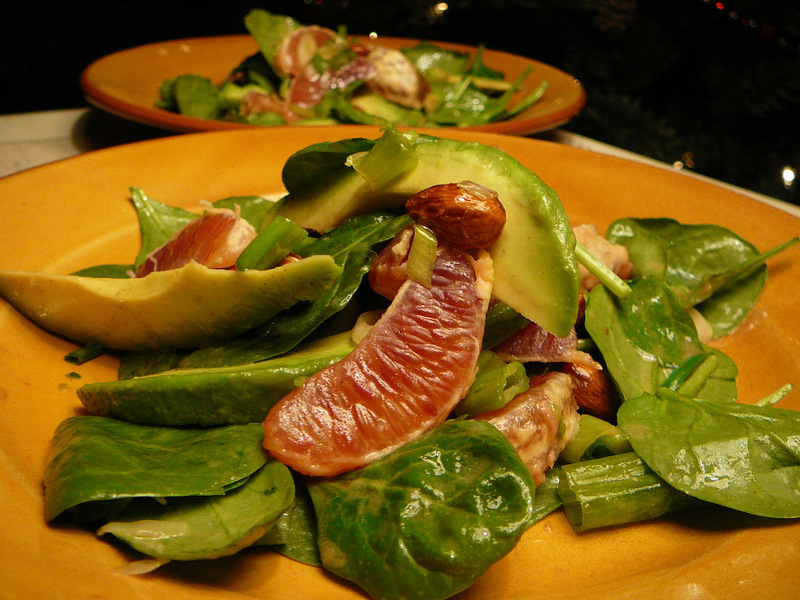 In the mean time, enjoy this uber-healthy salad with me new favorite fruit, the blood orange, which is bloody orangtastic. Peel and section the blood oranges. Take 2 sections and squeeze the juice into a bowl Mix it up with the Dijon mustard, olive oil, red wine vinegar, and sea salt. 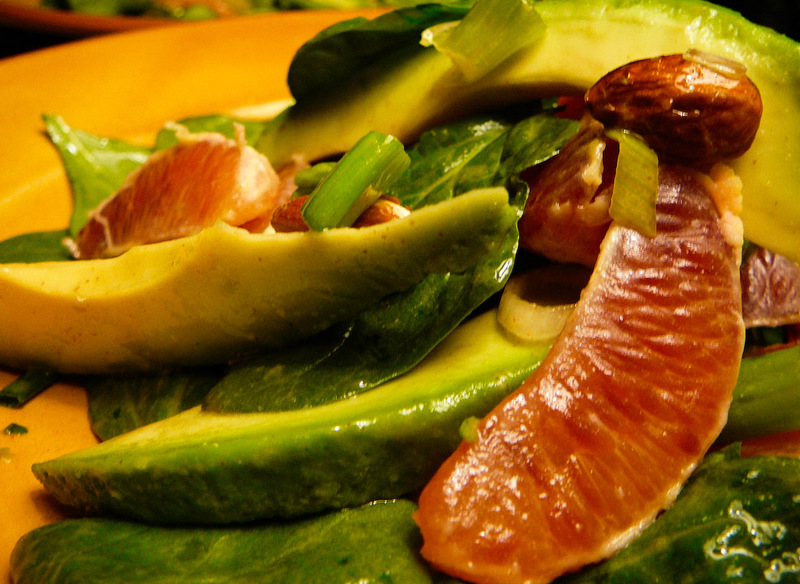 Toss the spinach, blood orange sections, green onions, avocado, almonds, and dressing. 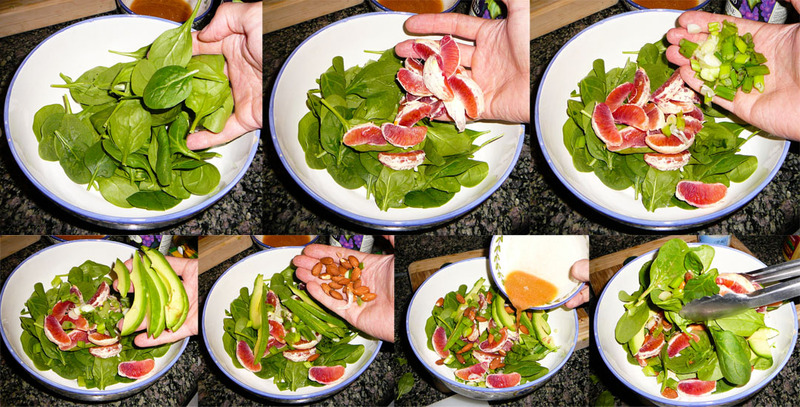 Serve this superstar salad solo or with a fine SINWICH or SOUP. 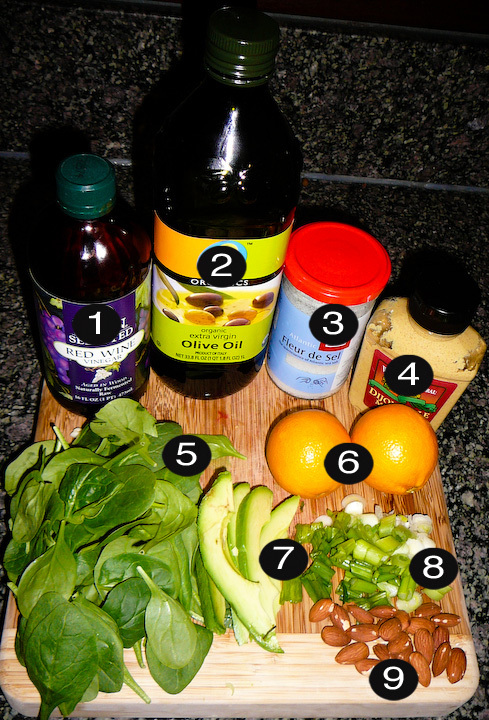 This entry was posted on Monday, December 9th, 2013 at 9:01 am and is filed under aphrodisiac, APHRODISIACS ANONYMOUS, healthy, LEAFY & LOVELY, RECIPES, vegan, vegetarian. You can follow any responses to this entry through the RSS 2.0 feed. You can leave a response, or trackback from your own site. I’m impressed! You’ve managed the almost imspsioble.